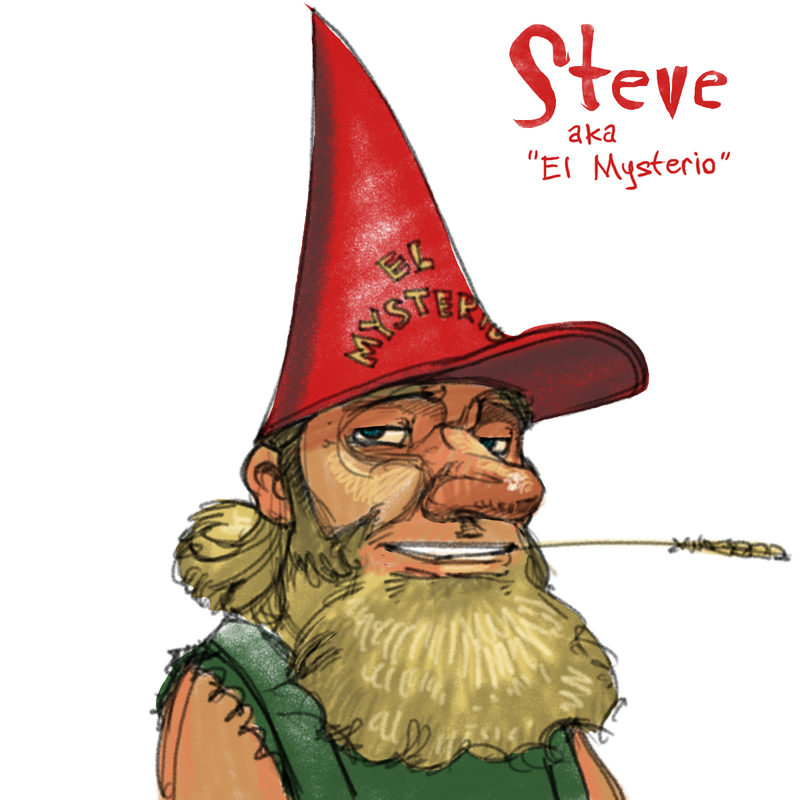 Named by Greg Newbold, it's STEVE! Steve is wearing the world's only known trucker hat/gnome cap. Greg is a fellow illustrator and blogger. You can check out his site "Life Needs Art" here. I can't wait for Bindlethorn! He is my very favorite, even though I didn't suggest it! I picture Bindlethorn looking like a cockleburr or maybe a horse chestnut. When you finish all your gnomes, you should make a group drawing of all the gnomes together. Steve is great. I think I'll send him to my uncle Steve. Aw! I'm glad you (Anika) like Blindlethorn! Though I'd really like to see Marvin and Mablehaven too. ...On another note, I just realized how many times I used the word gnome in my comment on the last post. It almost seems excessive, until you remember the fact that gnomes are awesome and I rather like the word gnome itself. and whoops again, I forgot to mention how much I love Steve. His trucker gnome cap is perfect! Holy Gnome! My dude is a total hayseed! I love it- makes me feel all down home on the farm. Thanks Nate! Two Gnome Heads Counts as Two Posts, Right?